By Alistair Reign, August 3, 2016 (Update 8/14/2016). Alistair Reign News Blog. NATO and its preemptive war on terrorists in the Middle East: just whose citizens are more important? I raise this question in light of the recent terrorist attacks in Karada, Iraq; in Nice, Paris; and in Munich, Germany; and now Manjib in Syria. The foreboding retribution will only fuel the cycle of killing innocent men, women, children, even babies with impunity. This war has given nations a free pass to kill without consequence. I was correct on the retribution, and the drone strikes and ground war near Manjib have increased, according to reports from Operation Inherent Resolve. You can watch NATO press briefings, and view unclassified drone-strike footage the same day they are released on our YouTube Military Channel. 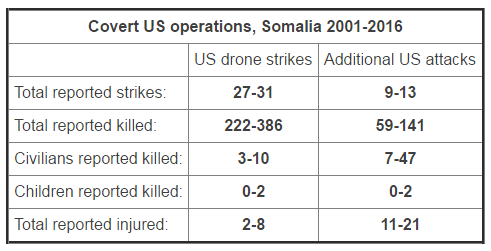 Additional drone-strike attack statistics will be added soon. Three Videos Added: Marshall McLuhan: Terrorism and Politics (1984), and Marshall McLuhan Interview – Violence As A Quest For Identity (1977). USA Loves KSA: Camp Hillary Ecstatic To Arm Saudi Terror/tories (2016). Located in mid article. The religious fanatics terrorizing the world’s population are followers of the Saudi-Wahhabi religion’s law and belief – this fact is undeniable – still, world leaders put on their best poker faces, and tell their citizens that these terrorist groups are a recent development that sprung into existence during the Iraq war. But I do not believe that the US invasion and occupation of Iraq was the origins – what I DO think, is that it was the catalyst that allowed Wahhabi Extremists to gain a strong-hold in Iraq, after NATO abandoned the Iraqi civilians, knowingly condemning them to their current fate. Additionally, I put forth that the “Da’esh” roots can be traced back to the Islamic Empire of Saudi Arabia – the granddaddy of religious fanatics. The evidence is piling up that links Saudi-Wahhabi’s to a high number of the terrorist groups who are spreading Wahhabism like a plague across the middle east. The Saudi’s have been exposed and “reprimanded” for selling arms to the extremist groups – Yet – rather than imposing sanctions on Saudi Arabia for their numerous crimes against humanity, the US rewards the Saudi “Royals” with multi-billion-dollar arms sales and oil deals. The burning question I have is – who has killed more civilians since the New York attack in 2001 – the Wahhabi terrorist bombings and killings in the name of their religion – or the NATO, Saudi, Russian and Israeli preemptive airstrikes and ground wars inside the borders of besieged territories? Readers who follow our social media sites may have noticed the recent increase of armed conflict related videos uploaded to the Alistair Reign YouTube Channel. There is a purpose to the remodeling of our YouTube outlet into a military channel; it was a natural off-shoot of information gathered during my search to find an answer for the elephant in the room. 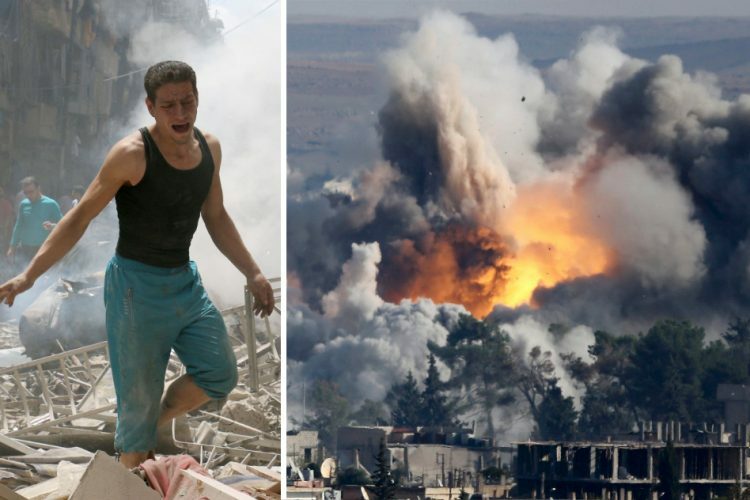 Who has killed more civilians? In this article, I will attempt to provide a clearer picture of the wars on terrorism and their death tolls. But first, an additional question to ponder. At this point in time – that is a blurred line. Consider how Americans would react if another country took it upon themselves to drop bombs on territories inside the U.S., in the name of killing the terrorists living there of course, and then proceed to kill U.S. civilians in shopping malls, homes and hospitals? I will venture to say the US of A would defend its borders with extreme prejudice. So, what makes it okay for Americans to impose their war on foreign countries? We are talking about counties on the other side of the planet – with an entire ocean between us – speaking as a US/CDN duel-citizen living in Canada. These fanatical Wahhabi’s do not exactly have a fleet of ships, submarines, or even an airplane that can cross the ocean for that matter! Surely it must have occurred to the powers that be, that countries such as Afghanistan, Iraq, Libya and Yemen, now see the U.S and NATO airstrikes’ civilian casualties equivalent to the carnage created by the Wahhabi terrorist attacks. Faisal Jaber, a Yemeni environmental engineer now living in Montreal, Canada, whose innocent family members; a cleric who publicly spoke against the violent ways of the religious extremists, and the other man was a local policeman; were killed together in 2012 by a single U.S. drone strike, in which they were targeted. Both men left behind a wife and young children. “the strike killed four of the men instantly, hurling their body parts across the grounds. The blast of a fourth missile hit the fifth man as he crawled away, pinning him lifeless to a wall. Jaber continued by saying: “We Yemenis are the ones who pay the price of the ‘war on terror’, We’re caught between a drone on one side and al-Qaeda on the other. “It would have been easy to arrest the three suspected men, rather than use a drone strike. They could have been stopped at any checkpoint – the closest checkpoint is only 1 kilometer away. The nearest army base is just 3 kilometers away. “For Americans, drone killing may seem to be an easy solution. And the President seems to prefer to keep the drones’ errors a secret, even where innocents have died. This is a mistake. 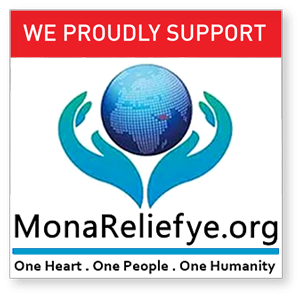 “Drone killing is not the solution to the problems that we face in Yemen. “The American drones simply create more problems, ensuring the next generation of Yemenis grow up feeling worthless, angry and fearful. “Instead of killing my brother-in-law Salem, the U.S. should have supported him. Salem was an anti-extremist Imam who preached against al-Qaeda only days before he was killed. His speech was so strong and inspiring, I worried al-Qaeda would kill him. I spoke to Salem about my fears. The only reason Jaber’s two family members were meeting the other men, assumed to be al-Qaeda, was because the suspected al-Qaeda men had demanded a meeting with Salem, after his public anti-extremist speech. Walid, the police officer went along to provide protection for his family member. Tragically, instead of continuing in their efforts to build a lawful country and religious freedom, Walid and Salem were killed at the command of a foreign country – NOT the extremists. For the US military, the Yemeni town leaders’ deaths would have been referred to, and normalized, as an acceptable risk of civilian casualties – ACCEPTABLE! The remnants of a US drone strike on August 29, 2012 in Khashamir, Yemen. The strike killed three alleged members of Al-Qaeda in the Arabian Peninsula, a policeman, and a cleric who preached against the armed group. (Photo: Reuters). I tell the story of the Jabers, because there is no doubt to the facts presented in this case. Sadly, theirs is just one example among millions of innocent civilians suffering from grievous harm as bystanders to the war on terrorists. Eventually, the US government gave a sum of cash to Faisal Jaber for his family’s loss. The cash was delivered by a US official in an envelope, but it did not bring back the children’s fathers, nor was it enough to secure a future for the families left with no provider – in a patriarchal society where the father is the sole provider. More than two innocent men lost their lives, the children lost their chance at a better life. This was a family of educated people simply tying to live a productive and peaceful life. The children left without fathers – they are the future of the Republic of Yemen, and yes, I too wonder – what WILL they think of the worlds’ lack of humanity? Before this arms-deal-fueled war will ever be won, these terrorist groups need to be seen for what and who they are – Wahhabi extremists not Islamic extremists. To that end, from now on Wahhabi is the name I will be using when referring to the “Da’esh” terrorists. Up until the Wahhabi militia currently known as Islamic State – invading terrorist groups were NOT given the recognition of calling their unlawfully occupied territories by an alternative state name. Case in point, I never heard media or governments refer to Afghanistan as the “State of Taliban”, nor was Iraq called the “State of Al-Qaeda”. The lands that were under Wahhabi extremists’ control were correctly referred to as “besieged” or “occupied” territories. Leaders refuse to call a spade a spade. The militia known as Da’esh (an acronym for the Arabic phrase “al-Dawla al-Islamiya al-Iraq al-Sham,” also known as ISIS or ISIL), are a murderous brotherhood of desert tribesmen who follow the misogamist and fanatical Saudi Arabia state religion of Wahhabism – known by many names in other parts of the world – including the Taliban, al-Qaeda, al-Nuestra and Boko Haram. It makes me wonder, is it the media’s tactic to constantly change-up the name of these Wahhabi terrorists to confuse the average Western reader or viewer? If so, it is working! For those Westerns who think using the latest term Da’esh is “politically correct” – all you are doing is saying Islamic State of Syria and Iraq in Arabic. Sooo… no! The average Canadian and American has no real understanding of the horrific nature of the crimes inflicted on women and children, taking place under the banner of the global war on terrorism, or what is fueling it. I have come to the conclusion that most people do not want the truth. There is truth to the expression, ignorance is bliss, and it keeps people from feeling accountable for the heinous crimes committed by the powerful military coalitions on the poorest countries. Too many people feel justified in backing this war, because they want to believe the invasion and airstrikes on foreign countries are being executed “as humanly as possible” under a worldwide “united front” to protect them. Why would they think that? Because, that is what the media tells us is happening. And, if the “credible” corporate media outlets reports it as such – well then, it must be true. Just ask my Mom, she is 84-years-old, and knows all about the war “over there“, because she watches the news stations every day. Because – the war on terrorists – particularly the POLITICS of television coverage. Marshall McLuhan: Terrorism and Politics. (1984). Marshall McLuhan Interview – Violence As A Quest For Identity. (1977). Today it is common place to read about the NATO-Coalition forces launching preemptive attacks on foreign land, under the US-led military action known as “Combined Joint Task Force – Operation Inherent Resolve”. Recently the Obama administration released its usual under-reported report claiming that the U.S. government’s war on terrorism has caused only 64 to 116 civilian deaths by drone strikes. However, several NGO groups say these numbers simply don’t add up. Independent organizations estimate that the number of civilian deaths by US strikes is closer to 8 times that amount. That would bring the number of deaths of non-threatening human beings up to 512 to 928, who were literally blown into pieces. Could the “War on Terrorism” (correction: War on Wahhabism), have become so corrupt that allies are killed and enemies rewarded? Time to take a closer look. The increased danger to innocent civilians in countries under attack – was (and still is) deemed as acceptable civilian casualties – in the name of protecting AMERICAN lives. It was inevitable that allied “world leaders“ would join the American invasion on foreign countries, whether willingly or bullied – they following in suit under the banner of “protecting their own citizens“. Ironically, ever since the U.S. invasion in Iraq, terrorist attacks have increased by 9-times. CODEPINK, issued this statement in response to Obama’s recent “transparency” report on drone strikes: “We agree that the numbers are underestimates of the actual civilian death toll. It is impossible to verify the government’s numbers when the administration refuses to reveal their methodology or information on specific strikes. ““You can’t grade your own homework,” as one political analyst noted. “We know as a fact that the Obama administration is automatically categorizing every adult male over 18 killed by drones as an enemy combatant – and this is outrageous. “The lack of transparency shows that the Obama administration is using civilian casualty numbers as a political tool to normalize drone strikes. “In addition to underestimating civilian casualties, the government statistics fail to capture the tens of thousands of cases of lost limbs, partial or total paralysis and other psychological or significant permanent injury caused to civilians by drone strikes. “The damage done to civilian survivors of drone strikes is often brutal, devastating and lifelong and is completely unaccounted for in the government statistics released last week.” . The US Joint Special Operations Command (JSOC), which is a semi-covert arm of the military, and the Central Intelligence Agency (CIA) are estimated by research groups to have carried out 81 targeted killing operations in Yemen: one in 2002 and the rest since 2009. The strikes by drones, warplanes or cruise missiles by various counts have killed at least 473 combatants and civilians. The United States has also carried out hundreds of targeted killing operations, primarily by drones, in Pakistan and a small number of such strikes in Somalia. After many years of neither confirming nor denying such strikes, President Obama and other top US officials began publicly acknowledging the targeted killings program in 2010. However, citing national security concerns, the administration has provided only the barest information about individual strikes. For example, US authorities have not revealed the number of strikes, the number of civilians and alleged combatants killed or wounded, or, with a few exceptions, the target of the strikes. Moreover, the administration’s legal rationale for such killings, outlined in various speeches and “fact sheets” by the government in the past two years, has been inadequate. Yemeni President Abdu Rabu Mansour Hadi has publicly praised the US drone campaign in Yemen, but his government has been almost as silent as the United States on details. On December 2, 2001, the UK Daily Telegraph reported that the US had asked the UK for assistance in planning strikes on ‘terror bases’ in Somalia. US special forces infiltrated Somalian waters in 2003 and planted a dozen or more concealed cameras, as part of Operations Cobalt Blue and Poison Scepter, the Army Times revealed. But the question remains open – do the above statistics represent the true numbers? How can the US and NATO confidently report the number of civilians killed, when they admit to not always knowing the number, or age of the killed? Although the CIA did not carry out a strike in Pakistan for the first five months of the year, drones were reported to have killed at least 114 people in 2014, more than in all of the previous year. All but one of these actions have taken place during Obama’s presidency. Reports of incidents in Yemen often conflate individual strikes. The range in the total strikes and total drone strikes we have recorded reflects this. The casualty rate for last year even outstrips 2012 – the bloodiest year recorded in the US’s drone campaign in Yemen when at least 173 people were reported killed in 29 strikes. In 2014 at least 82 people were reported to have died in just 13 strikes. During their six weeks in Yemen in 2012-2013, Human Rights Watch researchers interviewed more than 90 people about drone strikes including witnesses, relatives of those killed, lawyers, human rights defenders, and government officials. Human Rights Watch reviewed evidence including ordnance and videos from attack sites. Security concerns prevented visits to four of the attack areas. The strike that killed Salem and Whalid Jaber in Khashamir, Yemen is one of six unacknowledged US military attacks against alleged AQAP members in Yemen that this report examines. Each of the airstrikes bears the hallmarks of a so-called targeted killing, the deliberate killing by a government of a known individual under color of law. Two of these attacks were in clear violation of international humanitarian law—the laws of war—because they struck only civilians or used indiscriminate weapons. The other four cases may have violated the laws of war because the individual attacked was not a lawful military target or the attack caused disproportionate civilian harm, determinations that require further investigation. In several of these cases the US also did not take all feasible precautions to minimize harm to civilians, as the laws of war require. Beyond international legal considerations, the evidence strongly suggests that the strikes did not adhere to policies for targeted killings that US President Barack Obama disclosed in a speech in May 2013. The Yemeni government has conceded that two of the six attacks described in this report resulted in deaths and injuries to civilians. It has made payments to families of some of the civilians killed but has failed to adequately compensate many others. The US government has not publicly acknowledged involvement in any of the six attacks, and while US officials say they work with local authorities to provide “condolence payments” to civilian victims, we are not aware of any evidence that it has done so in Yemen. Regardless of the lawfulness of specific attacks, the deaths of numerous civilians and the lack of compensation to most families has fueled public anger and frustration in Yemen against the United States, doubtless to the benefit of AQAP. 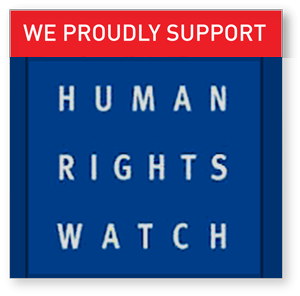 Human Rights Watch investigated the six strikes during two trips to Yemen in 2012 and 2013. These attacks, one from 2009 and the rest from 2012-13, killed 82 people, at least 57 of them civilians. At least four of the strikes were carried out by drones, a fifth strike by either drones or warplanes, and a sixth one by cruise missiles releasing cluster munitions, indiscriminate weapons that pose unacceptable dangers to civilians. This report assesses whether these attacks comply with the laws of war. It also considers them with respect to the guidelines that President Obama disclosed in May 2013 for targeted killings. Those guidelines seem reflective of international human rights law, which prohibits the use of lethal force in law enforcement situations except when absolutely necessary to protect human life. Wessab, April 17, 2013: Two drones launched at least three Hellfire missiles at a car in Wessab, a township in Dhamar province in central Yemen. 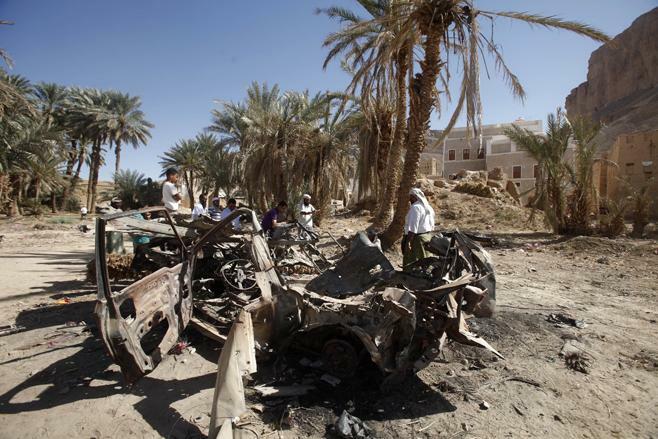 The missiles killed a suspected local AQAP leader, Hamid al-Radmi, as well as his driver and two bodyguards. The strike appears not to have complied with the Obama administration guidelines because it appears that al-Radmi could have been captured rather than killed. Al-Radmi was one of the most visible figures in Wessab, traveling openly to mediate disputes among residents, and meeting regularly with security and political officials. While linked to AQAP, it is not evident that he played a role in military operations that would have made him a valid military target. Al-Masnaah, January 23, 2013: One or more Hellfire missiles launched from a drone killed all four people in a truck in the village of al-Masnaah as they traveled to nearby Sanhan, a town about 20 kilometers southeast of Sanaa, the capital. Two passengers were suspected AQAP members. The two others, the driver and his cousin, were civilians hired by the AQAP suspects to drive them to Sanhan. Depending on the military importance of the two targeted AQAP members, under the laws of war the strike may have caused disproportionate harm to civilians. Yemen’s Minister of Interior exonerated the two cousins of any ties to the targets in a letter to the families, but relatives said neither the Yemeni nor the US government provided the families any compensation. Beit al-Ahmar, November 7, 2012: A drone strike killed Lt. Col. Adnan al-Qadhi, an officer in an elite Yemeni army unit who was a suspected local AQAP leader, in Beit al-Ahmar, a military town 15 kilometers from Sanaa. The strike also killed one of his bodyguards. Inconsistent with the Obama administration guidelines, the evidence suggests that Al-Qadhi could have been captured rather than killed. Nor is it clear that he played a military operational role for AQAP. In April 2013, AQAP issued a video in which an 8-year-old boy, held with his father, a soldier, “confessed” that military officers instructed him to plant a tracking device on al-Qadhi. Sarar, September 2, 2012: As two drones flew overhead, two warplanes or drones attacked a vehicle heading north from the city of Radaa in central Yemen. 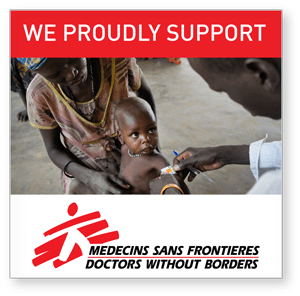 The strike in the hamet of Sarar killed 12 passengers, including 3 children and a pregnant woman, in violation of the laws-of-war prohibition against attacks that do not discriminate between civilians and combatants. The driver and a 13th passenger survived. The strike’s apparent target, tribal leader Abd al-Raouf al-Dahab, was not in the vehicle, and it is not clear that he was even a member of AQAP. The Yemeni government admitted the attack was a mistake but for months provided the victims’ families only limited compensation: 100 Kalashnikov assault rifles and cash for burial costs. Only in June 2013, after Human Rights Watch and other groups raised the case with the United States, did the Yemeni authorities compensate the families for the deaths. Al-Majalah, December 17, 2009: As many as five US Navy Tomahawk cruise missiles armed with cluster munitions struck the hamlet of al-Majalah in southern Abyan province. Yemeni government officials described the attack as a Yemeni airstrike that killed 34 “terrorists” at a training camp. According to a Yemeni government inquiry, the strike actually killed 14 suspected AQAP fighters, including the apparent primary target, Muhammad al-Kazami, but also at least 41 local civilians living in a Bedouin camp, including 9 women and 21 children. Subsequently, cluster munition remnants killed at least 4 additional civilians and wounded 13 others. This attack may more properly be viewed as a violation of international human rights law. However, even within a laws-of-war analysis, the attack used indiscriminate cluster munitions, and caused indiscriminate and possibly disproportionate civilian casualties. The families have not received any compensation for the deaths or injuries. US and Yemeni officials did not respond to written questions from Human Rights Watch on the six cases and on targeted killings policies. A Yemeni government official with knowledge of the strikes, who spoke to Human Rights Watch on condition of anonymity. International Law and US Policy. President Obama did not provide names with his transparency report, nor did he say in which years the civilians were killed, or in which country. He did not explain how the CIA decided who counted as wrongfully killed, and who didn’t. The President’s version of transparency – a bare number – does not help the families of the dead. It also does not help us achieve peace in Yemen. I am older and educated, but my worry is for our younger generation. How can Yemen’s young people make peace with the world when their first experience of the U.S. is hovering drones killing innocents, where no-one will admit responsibility? The legality of a “targeted killing” under international law may depend on whether the attack was conducted during an armed conflict or during law enforcement operations. International humanitarian law, the laws of war, apply during armed conflicts between states or between a state and a non-state armed group. International human rights law applies at all times, except where superseded by specific laws of war. The laws of war permit attacks only on enemy combatants and other military objectives. Combatants include members of armed groups taking a direct part in hostilities, but not those who play a purely non-military role. Civilians and civilian objects are protected from attack. Not all attacks that cause civilian deaths or injuries violate the laws of war—only those that target civilians, do not discriminate between civilians and combatants, or cause civilian loss that is excessive compared to the anticipated military gain. Parties to a conflict must take all feasible steps to minimize civilian harm, including by not deploying in densely populated areas. States have an obligation to investigate serious violations of the laws of war and prosecute those found responsible. During situations of law enforcement, in which international human rights law applies, lethal force may only be used as a last resort where there is an imminent risk to human life. The standards set out by the Obama administration for targeted attacks appear to reflect this law enforcement approach, requiring that the target pose an imminent risk to the United States, cannot reasonably be captured, and can be attacked without putting civilians at risk. 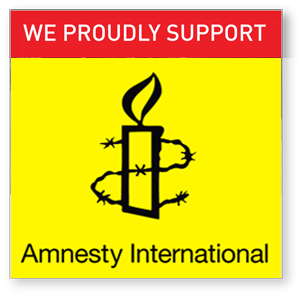 However, the administration has not said that it was adopting an approach consistent with human rights law. Faisal bin Ali Jaber filed a lawsuit in June to establish that the 29 August 2012 drone strike that killed his brother-in-law and nephew was unlawful. (Photo N. Kamm/ AFP/ Getty). Spencer Ackerman reported in The Guardian, that the US Justice Department rejected Faisal bin Ali Jaber’s offer to drop his federal lawsuit in exchange for condolences Obama has given to western victims of a 2012 strike. 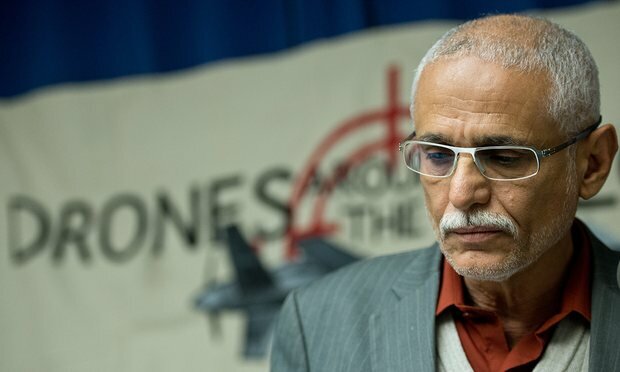 Faisal Jaber, the 57-year old Yemeni man, had offered to drop a federal lawsuit he filed in June, which sought to establish that the 29 August 2012 drone strike – which killed Jaber’s brother-in-law and nephew – was unlawful. New war, same bad decisions. “During 2001 to 2005, warlords paid by the CIA helped render ‘seven or eight’ al Qaida figures out of Somalia, Sean D. Naylor of the Army Times reported. This included suspected al-Qaeda terrorist Suleiman Abdallah from a hospital in Mogadishu in March 2003 and Mohammed Ali Isse, a Somalilander captured by warlords in Mogadishu in 2004 and rendered to a warship off the coast of Djibouti, before being imprisoned in Somaliland. In summary, I am not sure we will ever know the answer to the question of who has killed more civilians. The numbers of civilians killed by drone strikes, according to the United States, are called into doubt by many reputable NGO groups. The numbers of innocent civilians killed by Wahhabi terrorist killing are also difficult to summarize into one tidy number. I WILL venture to say, that in my opinion, the war on terrorism is responsible for more deaths and permanent disabilities, than the terrorists attacks and beheadings. References: Army Times, Boston College International & Comparative Law Review, Daily Telegraph, Journal of Conflict Studies, Reprieve, UN, Chicago Tribune.